BAE Systems is selling 11 million of its shares in Swedish defence group Saab for £152 million, marking the end of its 16 year long relationship with the company. The Financial Times reports that BAE Systems’s 11.2 million shares account for a little more than 10% of Saab’s equity. The sale of the shares is in line with plans announced by BAE Systems last year. BAE first became involved in Saab in 1995, when the company took a 50% stake in a joint venture to develop and market the Gripen fighter jet. After that, the British company bought a 35% stake in Saab itself in 1998, for 3.5 billion kronor or US$450 million at the time. In 2005, BAE sold 13.2 million shares, reducing its 35% stake in Saab to 21% following Saab’s decision to take over Gripen marketing. The Financial Times said one of the reasons for this was that Saab felt BAE was focusing less on the Gripen. Instead, BAE started promoting the Eurofighter, which is a direct competitor to the Gripen. At the same time, BAE was increasing its focus on the American market and looking to fund acquisitions in the United States. The company is now among the top ten defence firms operating in the United States. 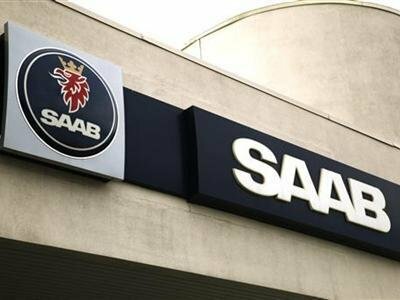 Last year BAE sold half of its 21% stake in Saab to Investor AB, the Wallenberg family’s publicly traded holding company, and indicated it would sell off the remainder at a later date, according to Bloomberg. With BAE’s exit from Saab, the Wallenberg family is left as the largest shareholder in the company, with a stake of almost 30%. “They decided some years ago that Saab is redundant for them, as they shifted their focus to the U.S.,” Zafar Kahn, an analyst at Societe Generale in London, told Bloomberg. “It is a good time to sell since the Saab share price recovered.” Saab shares gained 35% over the last year, but dropped by 8% as BAE’s sale was announced. In 2004 and 2005 BAE Systems became further involved in the Swedish defence market by acquiring the parent companies of tank maker Hagglunds and artillery manufacturer Bofors. BAE Systems intends to maintain its investments in these two companies. With acknowledgements to Leon Engelbrecht and defenceWeb. Now we know why Saab shopped BAE a week after the latter finally divested itself of all its Saab equity..
BAE has been very seriously implicated in wrongdoing in the last decade and has very recently paid a number of plea bargained fines amounting to nearly USD500 million. This has seriously sullied Saab's name, especially in its bidding in multiple countries over the last decade for its Gripen fighter. Even Norway, which invested in Saab's Gripen development during the last decade dumped the Gripen in favour of the Lockheed Martin F-35, which is in any case more modern, more capable and less expensive. But Saab can still sell the Gripen to second world countries, but it needed to blame the allegations of corruption on someone else. BAE is clearly not only the correct culprit to blame, but perfect placed in space and time for such blame. So Saab admits R24 million of irregular payments (out of probably R700 million - the other half was for BAE's Hawk), but blames BAE managers for making and hiding the payments. So it might end up with an equivalent sanction of R24 to R50 million (probably clawed back from BAE), but gets about R500 million worth of advertising and goodwill for its pains. Now this Saab geezer just needs to testify in a South African court against Fana Hlongwane and BAE (I guarantee he will get immunity and indemnity for his company and himself). Maybe he get offered a canoeing trip down the Orange River to help him prepare himself for his ordeal in cross-examination. Maybe not such a clever move.